The Opening Ceremonies in Rio were full of fun surprises, and this weekend we're going to do it all over again with the Closing Ceremony. However, Sunday schedules are often different from Friday schedules, so those who enjoyed Rio's first presentation might not be able to check out the big after-party. How can you re-watch the Rio Closing Ceremony? On Sunday night, Olympics will end with some musical performances, a celebration of the last few weeks, and a presentation from Tokyo, the next host of the Summer games in 2020. You're not going to want to miss this. The Closing Ceremonies are always a lot more chill. The games are over. The athletes are back to being friends again and typically enter the arena together instead of grouped by country. 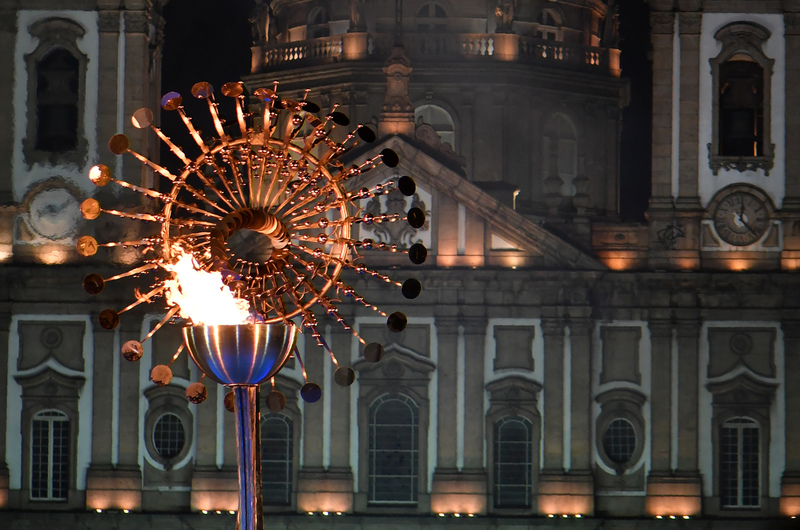 It's a great symbolic gesture that showcases what the Olympics are ultimately all about. The pressure is off, and everyone is just there to have a good time. However, if you're busy on Sunday night, don't have a DVR, or just want to re-watch certain moments after the Olympics are all over — here are some of the ways to make that happen. There are plenty of options, so no fretting or developing pre-FOMO about this. It's going to be just fine! NBC is re-airing the Ceremony at 12:35 a.m. so if you have nowhere to be on Monday morning (lucky you), have at it! The NBC Sports app will have the Ceremony up after it airs. All you need is your cable info to log in and start watching. You should also be able to watch it on the NBC Olympics website, where the Opening Ceremony is currently available for streaming. If you don't have a DVR, check NBC and NBC Sports in your television's OnDemand menu. It should be up there on Monday, ready to go. Finally, if all else fails and you just want to relive certain elements of the Closing Ceremony, there are sure to be clips and gifs all over the internet. With so many options, there's no way you will miss your chance to see the Rio games out with a bang.